Upon completion of careful interpretation the reader is guided through the process of transitioning from pure interpretation to contemporary application of the Bible text that will be presented in a sermon/lesson. 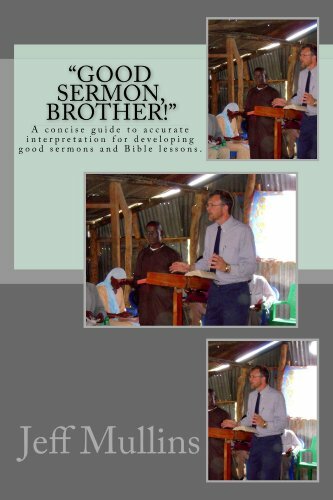 Discussion of of sermon outlines, transitions, illustrations, applications, introductions and conclusions are included. Readers are challenged to evaluate their personal reluctance toward preaching and encouraged to press forward. Additional practical help is offered in appendices in forms for sermon evaluation, interpretation guides, exegetical examples and a sermon template. The book is available in English, French, and Swahili.